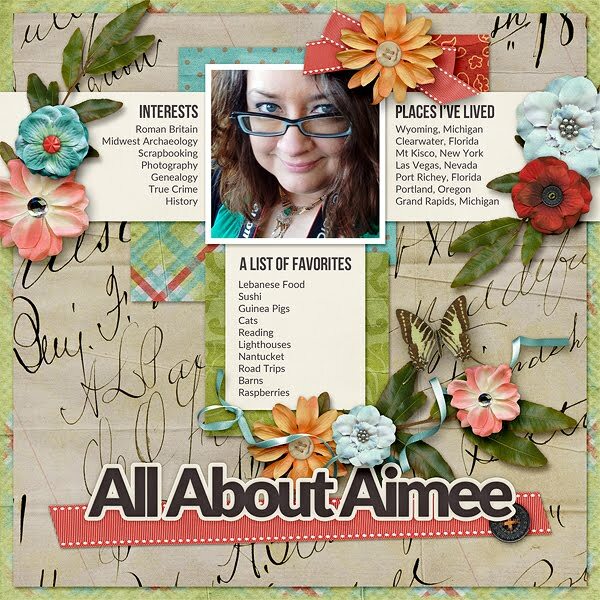 MyMemories Blog: Meet Feature Designer Aimee Harrison Designs! Meet Feature Designer Aimee Harrison Designs! I prefer Android, Nook, Pepsi, Dark Chocolate, Superman, and Cold. I was at a concert for my favorite singer and I realized he was at the hotel that I was standing outside of. So I started running towards the front doors in front of a wall of glass and my sandal broke and the bottom was flapping and as I started to trip repeatedly, he walked out of the door and I slammed into his stomach. It was quite embarrassing but at the same time pretty hilarious.